Study in Germany is one of the top choices among international students. 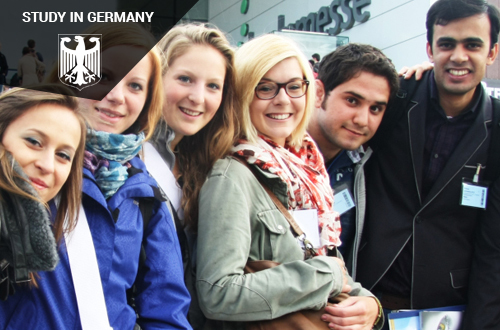 Germany is known for its educational system and top class universities and colleges. There are lots of options for international students for free study in Germany. International students aspiring to get student visa to study in Germany can choose between different types of higher education institutes. These focus on science emphasising on research mainly teaching theoretical knowledge. So if you are looking for research based education these may be a good option for you. These focus on practice. The main focus is on the practical application of the subjects. There is range of options for international students choosing to study in Germany. You need to choose right and relevant course for your study visa Germany application to be successful. These programs have got practical orientation. In this program one combines academic studies with vocational training and company experience. In Germany the state finances most of the higher education institutes. It means that your higher education in Germany is free in state higher education institutes. Private higher education institutes may cost you higher. International students from European Union, Iceland, Norway, Switzerland and Liechtenstein can work for unlimited number of hours in Germany. Only if they work more than 20 hours per week they need to pay some insurance contribution. If you are International students from other countries you may work for 120 full days or 240 half days in a year. If you are on language or a foundation course you need permission for work. Once you have completed higher education in Germany as an international student you may stay in Germany for 18 months to find a job relevant to your completed qualification. During this duration of 18 months you may do any work to support yourself. Once you get a relevant job fulfilling all the conditions you may apply for EU Blue Card. You need to provide documentation to support your Germany Student visa application. After getting an offer of a place you need to document how your education and living cost would be financed in Germany. A blocked account in Germany is the preferred method to show you have money for your living cost in Germany. You require to deposit EURO 8800 in your blocked account in Germany. At West Highlander we guide students taking into consideration and career goals. We counsel students about number of options best suited to their budget. We help the students with the admission and visa process which is very tricky. One needs to present his admission and visa application carefully to get offer of a place and then visa for study in Germany. West Highlander is the best study visa consultant for Germany in Chandigarh. Visa filled form (Fill it in editing PDF). Original Offer letter from university. DD (demand draft) 5600 inr (according to current euro rate) visa consulate fees. Students need around 850 Euros per month to meet the cost of living in Germany. When it comes to large cities, cost can vary depending on where you live. They can live in small cities instead of thinking in staying in big cities. The amount of money you need will ultimately depend on how economically you live. Students can have concession at the ticket counter, theatres, museums, opera houses, cinemas, public swimming pools and other cultural venues by showing their Student ID card. Make your future bright while studying in German’s top education institute. We offer reasonable processing charges and we have a strong collaboration with prominent Universities and Colleges in German. We prefer to give one to one counseling to students. We provide complete admission and visa process services. The processing fee is free for a dependent application. West Highlander is a fastest growing immigration consultancy in Chandigarh specialized in providing student visa for German from last twelve years. We have a team of experts who can make your dreams come true of studying in German. Australia offers quality education with universities ranked among the top in the world with added advantage of great lifestyle and weather. Australian institutions have long history of welcoming international students you will feel like home and safe. Australia offers great study and research satisfaction for wide range of audience from vocational students to scholarly and research fellows. Study in Australia is an opportunity for everyone to make a great career head start. There are wide range of options for various academic, language and budget levels. you may study from a vocational diploma , bachelor degree to masters and PhD. Students with just 10+2 second division and low IELTS of 5.5 may study vocational job oriented diplomas like Automobile, Cookery, Graphic design etc. 10+2 pass students with first division and IELTS 6.0 may choose to study diploma , advanced diploma or Bachelor degree. Students holding a bachelor degree may go for masters coursework or research. Australian institutions accept IELTS, PTE and TOEFL scores. Even if you score point 5 to one band less than required, you may still apply for visa with academic English or ELICOS classes. Study in Australia offers you access to very high quality practical education at a very reasonable price. Tuition fee in Australia ranges from AUD 15000 to 30000 ( INR 7 to 10 lac) for most programs, which you can pay by semester ( about INR 5-7 lac), you are also allowed to work part time which can help you cover a part of it. You can chose from wide range of institution and programs depending on your budget. So you can chose to study in a Vocational college , TAFE college or university. Study in Australia visa process is fairly simple your academic and language test papers are first assessed by the institution and you are issued an offer letter to study in Australia. Students are generally interviewed and assessed financialy by the institution, then you are issued COE for study in Australia. Under the new Simplified Student Visa Framework Australia (SSVF) visa process has become very simple for a genuine student. In most cases if you go through the institution assessment, you are issued a visa to study in Australia.We at west Highlander strive hard to provide you with complete, fair and transparent information to make your Australian dreams come true. TAFE Colleges are Australian government funded institutions offer job oriented practical courses for entry , junior and middle level skilled jobs. These institutions mainly focus on trade certificates, skill diplomas and some degrees also. They have very high job outcome and courses are reasonable priced. They work very closely with industry bodies to prepare manpower for them. If you are looking for a great job outcome without a fancy university tag, TAFE colleges are the best bet for you. Study in Australia at a TAFE college does not require too much theory study but practical workshop practice with some lectures. Vocational Colleges offer low cost but very high quality education at diploma , advanced diploma bachelor and master degree level. These institutions offer wide range of programs in vocational training like hospitality, automotive, graphics design , community work to professional courses like IT, accounting and management . These colleges are much more internationalised than other type of institutions and welcome international students with open arms. Their fee is comparable with TAFE colleges and are much less as compared to universities. In most cases their campuses are located in the heart of city in CBD. If you are looking forward to study in Australia in the heart of CBD Sydney or Melbourne this is the best bet for you. Universities in Australia have excellent academic & research facilities . Most of Australian Universities are at the top position among top 500 in the world. The Group of Eight (Go8) comprises Australia’s eight leading research Universities – The University of Melbourne, The Australian National University, The University of Sydney, The University of Queensland, The University of Western Australia, The University of Adelaide, Monash University and UNSW Sydney. The country is well developed and one of the most sort after skills and learning destinations in the world. The best part of the country is a low crime rate which gives assurance of safest environment to international students to continue their studies. The country is known for its best and world-class education system. The college and universities offer a range of undergraduate and graduate courses in various fields. While studying in Australia a student can work as a part-time during a term and full-time during vacations. International students are allowed to work 40 hrs fortnightly. Students are allowed to drive there having a valid international driving license. A valid driving license may work for a certain time in Australia. Students are entitled for 2-4 years of post study work visa depending on their level of study. Learn more about post study work options in Australia. Students with skilled jobs may apply for Permanent Residence of Australia. We are the most licensed and qualified consultant for study in Australia in Chandigarh, Punjab Region. Firm foundation of counselling staff of study in Australia which helps students aspiring to study in Australia , understand Australian education system & its benefits. Complete & in depth information about study options in Australia. Information about how to apply to study, and prepare for living in Australia. Information about tuition fees and cost of living in Australia.